Mortgages: Can I Still Get A Seller Contribution? Question: We want to buy a home and we want the sellers to pay some of our mortgage costs. They’re getting a lot of cash at closing and through our purchase we’re making the sale possible. In effect, we want a discount. Is this possible? 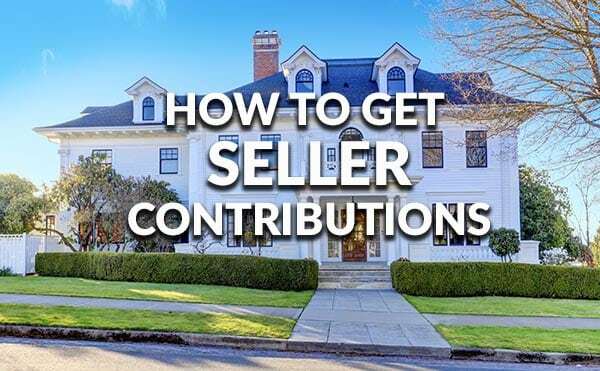 Answer: So-called “seller contributions” have long been a part of the real estate marketplace, concessions by the seller to help the buyer get the property. That said, while purchasers may like seller contributions owners are less than thrilled with the idea. Sellers will oppose contributions in the same way they will object to a proposed price cut. However, if the market is slow, if a particular home is not selling, then it may be possible to get a seller contribution. Seller contributions can be a big deal. Buy a home for $250,000 and a 3 percent seller concession equals $7,500. That’s a lot of money and in some cases even larger concessions are allowed. In addition to owners, mortgage loan programs are also leery of seller contributions. The worry is that buyers will fudge loan requirements with seller money and pay less than they should for the down payment, thus increasing lender risk. Here’s a look at the seller contributions and their limits. Fannie Mae and Freddie Mac buy mortgages from lenders. These so-called “conforming” loans allow seller contributions, or what are formally known as “interested party contributions” or IPCs. Interested parties can include not only sellers but also real estate brokers, lenders, builders and developers. Seller funds can be used for such purposes as buying down interest rates and lowering closing costs. Seller contributions cannot be applied to the down payment. Down payment money must come from the buyer or from allowable and disclosed gift sources such as parents and employers. 9 percent of the purchase price for buyers with at least 25 percent down. 6 percent if the property is purchased with 25 percent to 15 percent down. 3 percent with 10 percent down or less. For investment properties seller contributions are limited to 2 percent of the purchase price. Payment for permanent and temporary interest rate buy downs, and other payment supplements. Payments of mortgage interest for fixed rate mortgages. Payment of the Upfront Mortgage Insurance Premium (UFMIP). The VA allows “seller concessions” of as much as 4 percent. Combine seller concessions with a loan program that allows buyers to purchase with no money down and you have a truly interesting mortgage option. Payment of the buyer’s VA funding fee. Prepayment of the buyer’s property taxes and insurance. Gifts such as a television set or microwave oven. Payment of extra points to provide permanent interest rate buydowns. Provision of escrowed funds to provide temporary interest rate buydowns. The payoff of credit balances or judgments on behalf of the buyer. Six years later nothing has happened, however it’s possible for the limits to change. For this reason always check with loan officers regarding current seller contribution rules.